The PanzerGlass™ Privacy screen protector with curved edges is the most advanced protection currently available. The glass features a confidentiality filter that makes the content of your display almost invisible to everyone else except you. It also reduces blue light and has an anti-glare coating that minimizes light reflections. 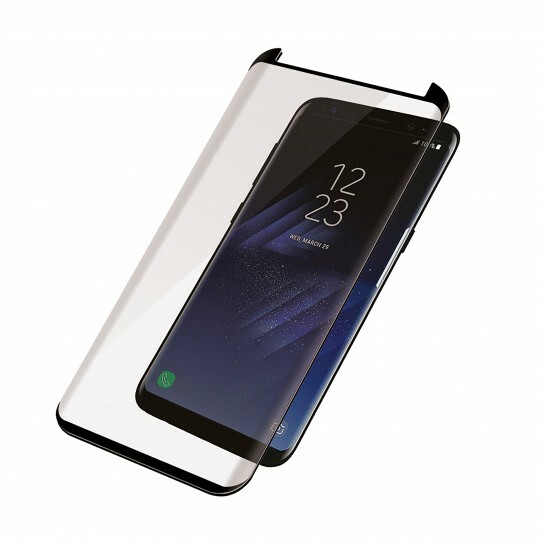 The PanzerGlass™ screen protector with curved edges has undergone a heating and bending process in order to perfectly match the curves of the phone for optimum impact protection around the more vulnerable corners and edges. It also has an optimized adhesive and anti-shatter film layer. This Super+ PanzerGlass™ is an enhanced version of the original high-quality PanzerGlass produced especially for curved-screen devices.